Here is your first look at the new Dye DM14 series paintball gun. You will quickly see the macroline on this gun missing as Dye has re-designed the marker to be used with all internal hoses and air tubes. The new low profile design makes this one of the biggest changes the DM series has ever seen. With a comfortable rubber front grip, you can easily take hold of this gun with or without gloves. The completely re designed bolt kit allows for the Dye DM14 to be a very smooth and efficient marker with a very quiet sound signature. If you have been waiting for a new high end gun to hit the market with all of the bells and whistles, then your wait is over. The DM14 is here and is ready to do some damage to anyone on the field that is not equipped with this beast! Check out the new Fantasy paintball league that is brought to you through Paintball Access, PSP and American Paintball Players Association. Now you can pick your own team of players who will be competing and scoring points for your roster. 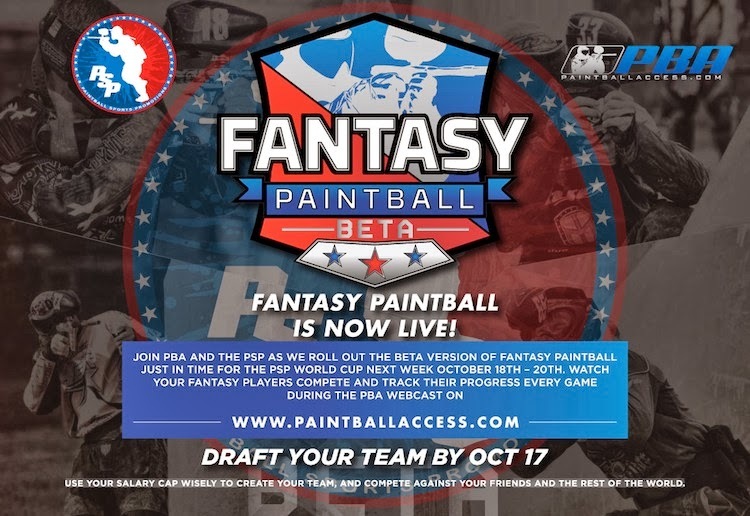 This fantasy Paintball league allows you to pick from over 100 of the top professional paintball payers in the world with your chance for Victory!!!! To get your team signed up and registered visit PaintballAccess.com. Click Here to learn more about Fantasy Paintball. This is the all new Immortal Air Aura regulator that was just released by one of the leading tank companies in the world; Immortal Air. With over 20 years of making paintball tanks, these previous owners of Air America are back at it again and are living up to all of the hype. 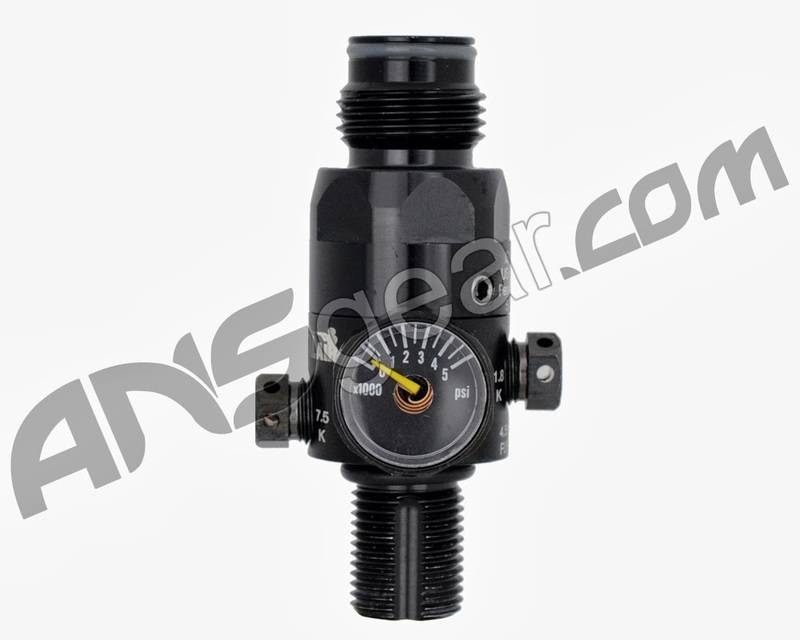 This new regulator is manufactured in the USA and is build from high quality airplane grade aluminum. 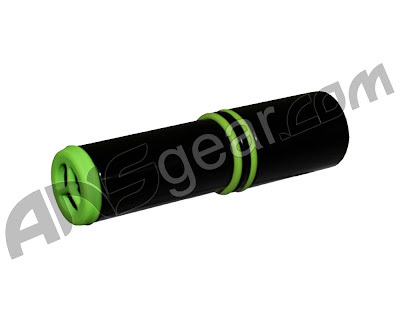 Its light weight design is very durable and can stand up to abuse from even the toughest paintball players. If you are looking to upgrade the your reg, then defiantly check out the new Immortal Air Aura regulator today. We will have a full in depth review of the Aura regulator in the next couple of weeks but until then, let us know any thought, questions or concerns you would like us to address. 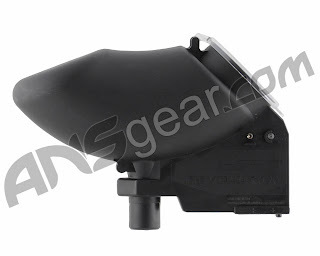 Check out the new HK Army KLR paintball mask and get the latest technology available. With a price starting at $125 bucks, this is an affordable high end option that offers great breath-ability as well as protection. Out of the gates, the KLR mask will be offered up in 8 standard colors which should include Black, Blue, Red, White, Green and a couple others as well as 5 custom printed patterns. The KLR goggles will come stock with a mirrored chrome lens and have plenty of customizable options including 8 different lenses, a bunch of different ear pieces and some new locking tabs and hardware. Stay tuned for more details on the release of the HK Army KLR mask. Ooh Snap! Check out the GI Sportz New Pulse RDR paintball loader today. This is one of the newest paintball loaders on the market and packs a punch for the most serious woodsball and scenario paintball players. Chocked full of new and patented technology, the GI Sportz Pulse RDR will keep up and consistently feed paint for even the fastest shooting paintball guns. 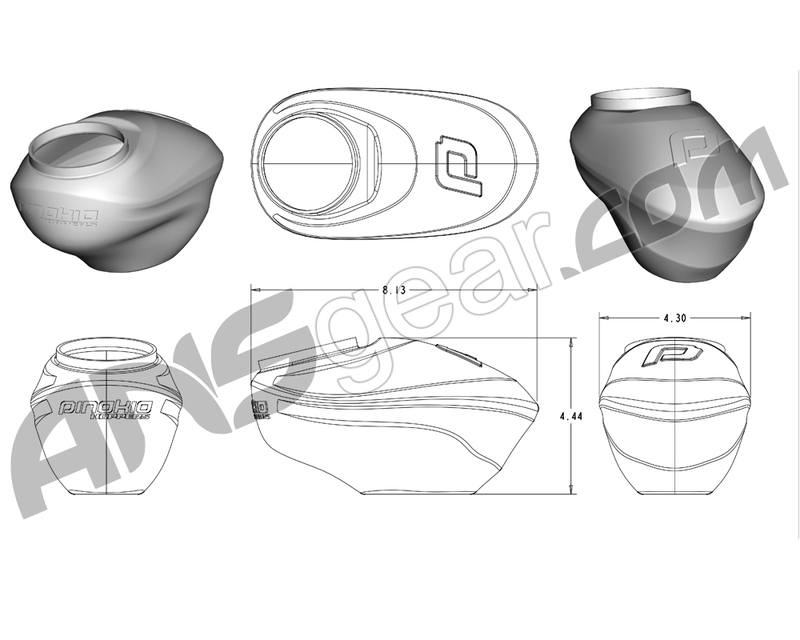 There are expected to be a couple versions of the new GI Sportz loader. The Pulse RDR will have a built in chronograph with display screen to give you an accurate reading as to how fast your paintball gun is shooting. This means no more standing in line at the chrono station. This also means, paintball will be a safer sport by letting you know if your gun has abruptly increased its velocity on the field due to any type of mechanical failure. 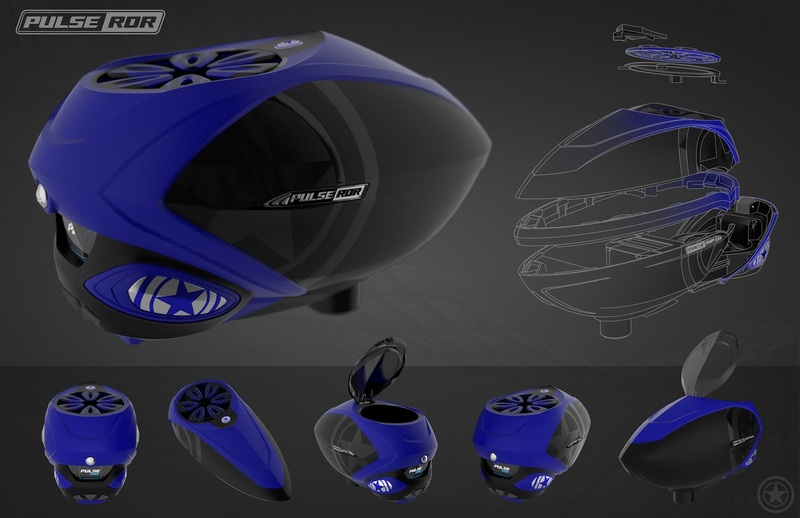 With an Expected release date at the PSP World Cup in October 2013, the GI Sportz Pulse loader will quickly be one of the most prominent paintball loaders on the field. The Empire paintball backpack is equipped with tons of pockets and compartments for all of your paintball, school or regular travel gear. 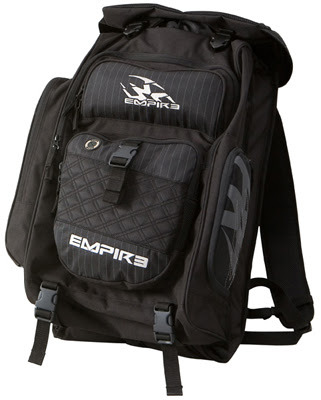 Though out with great designs, the Empire backpack is light weight with really comfortable straps. One of the most popular designs is the Empire Heater backpack which doubles as a duty bag with a separate section for clothing and other areas. The main area has a padded laptop case which makes this great for work, school or the paintball field. The Air Mesh contouring makes this one of the top selling Empire Paintball Backpacks and is sure to turn some heads anywhere you are taking it. 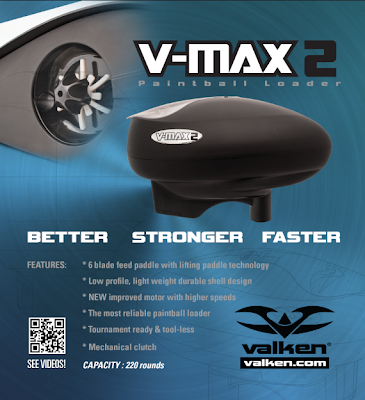 Here is your first look at the new Valken V-Max 2 paintball hopper. Re-designed to be lighter weight and perform better, the V-max 2 has everything you could ask for at an extremely affordable price. The new 6 blade paddle which comes stock in all of the V-Max 2 loaders helps to feed paint and keep your loader from jamming. This new feed paddle is pliable and helps load up to 30 balls per second. The Low profile and light weight design will keep you in the game longer with less hopper hits and wont strain your arms from all of the added and extra weight. The all new motor that comes stock in the Valken V-Max 2 has more torque and is more consistant than the previouse motor that came in the old V-Max loader. The Valken V-Max 2 is also a completly tool-less loader which makes taking it apart to clean and work on effortless. Now you can take your loader apart on the field or sidelines in just a matter of minutes. Here is your fist look at the all new Pinokio Speed paintball hopper. If you have been involved or associated with paintball for any length of time, you have seen the Pinokio series paintball loader with the front noes cone. Well, out with the old and in with the new. With an expected release date of late 2013, the Pinokio Speed Loader features a light weight and low profile design that will feed 25+ balls per second. - Battery Life - Word on the street is that the Pinokio Speed will get a minimum of 30 cases off one set of 9 volt batteries. - One Button Operation - No crazy modes or adjustments on the Speed! Just fast and consistent feeding on any gun from mechanical to high speed tourney gun. - Removable Nose - Although the nose cone of the Pinokio Speed is removable, it will not come with any attachments increase carrying capacity. It will however help if you find yourself with a broken ball or dirt and debris in your loader. Built to last, I believe the Pinokio Speed will be a solid competition loader in the 120-150 dollar price point! The all new JT Revolution loader is back and in stock at ANSgear.com. The Revolution was the first electronic paintball loader that agitated the paintballs and helped them feed into the marker. With typical feed rates between 10-12 BPS, this was perfect for all of the pre2k paintball guns. As paintball guns began to shoot with higher rates of fire, the JT Revolution loader was slowly phased out and discontinued from their product line. 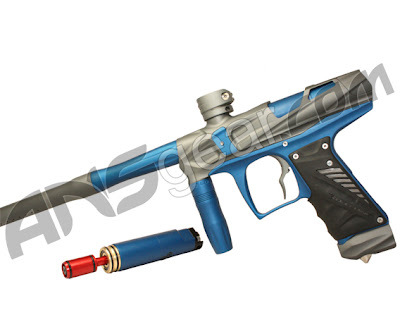 Check out the new 2013 Planet Eclipse Ego LV1 Paintball gun. Released today, the Ego LV1 has been drawing a lot of attention to the new front grip and macroless design. The grip frame has been re-designed to transport the air flow through the grip frame and directly to the Regulator. There is a small metal tube on the Eclipse Ego LV1 that sends the air to the regulator. The regulator itself has a molded rubber grip which makes it one of the most comfortable guns to hold. As we move to the front of the LV1, you will see that the LPR has been hidden inside of the body. This keeps it free from dirt and debris as well as allows you to get a better grip on the front of the gun. The Planet Eclipse Ego LV1 has been re-designed and is now in a little bit larger body. This helps with the overall workings of the gun and will give you smoother that ever before. This is the teaser for the new JT Impulse paintball gun. With a set release date of tomorrow, everyone is really excited about the release. Most fans of the previous model Impulse are expecting big things from this little package. 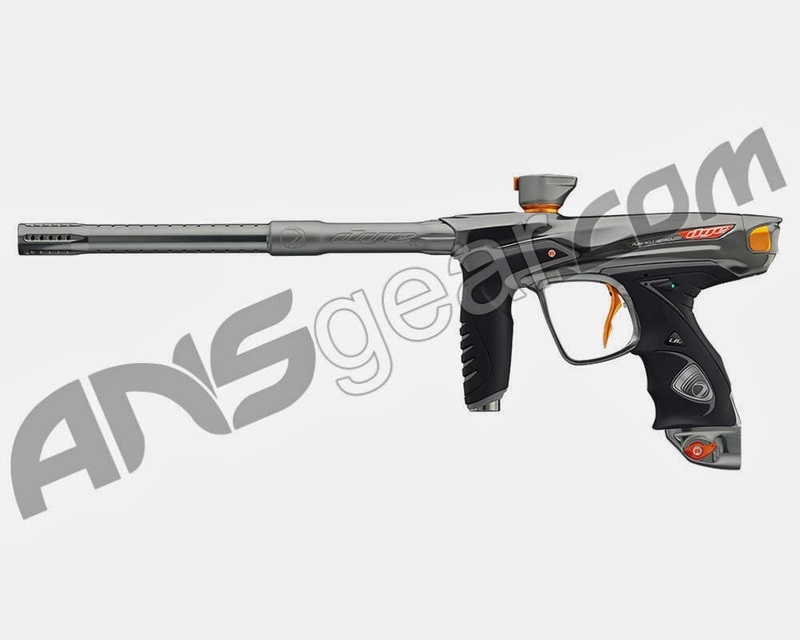 The 2013 JT Impulse is expected to continue on with the poppit valve technology and be the most air efficient gun in the lineup of Kee Action Sports paintball guns. 2 Piece Barrel - Small bore back to increase shot consistancy with larger front bore for better accuracy. External Hoses - The debate has always been there for paintball guns to use macroline or not use macroline. The JT Impulse has chosen to go with macroline for easily disassembly and maintenance. Balanced Valve Technology - This is expected to give the Impulse a nice soft shot that does not drastically raise the barrel of the gun. This will help with overall better accuracy. Clamping Feedneck - Like all other high end paintball guns on the market, the JT Impulse has one of the best quality clamping feed necks on the market and is sure to keep your paintball loader in place. Check back soon for more updated pictures of the new JT Impulse! 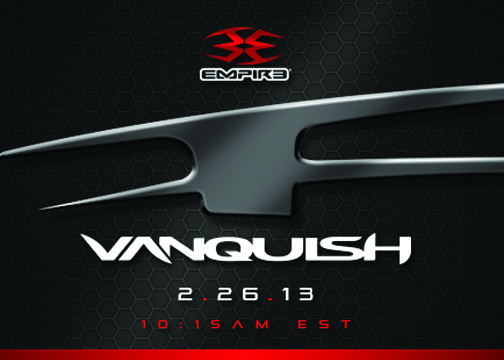 The Empire Vanquish is one of the most exciting paintball gun releases for 2013. With a release date of Feb 26th, the Empire Vanquish will be on the market to compete with all of the top guns in paintball. With very little information currently available for the Empire Vanquish, the best we can do now is speculate about all the really cool features that are sure to be installed and included with the gun. The Bob Long Victory V-Com paintball gun is one of the hottest new guns for the 2013 paintball season. This is the first gun of its kind to have adjustable firing mechanisms The Victory V-Com comes with two complete firing engines which easily allow you to adjust your marker between spool valve or poppet technology. The Bob Long Victory V-Com is the ideal paintball gun for Front, Mid or Back players with this unique technology. Front Players would want to use the less efficient spool valve technology which will give them a nice and smooth shot. Mid or Back players would use the Victory V-Com with the highly efficient Poppet Engine which will give them more shots that needed in a game. Check out the Bob Long Victory V-Com and add one of these truly great paintball guns to you gear bag. Check out the all new Exalt Geo Launch bolt that is now available. If you want to take the performance of your Geo 2 or 2.1 to the next level then drop this beauty into your gun. Packed with the newest technology, the Exalt Launch bolt will have your Geo flawlesly shooting even the most brittle paint in no time. The soft face of the bolt makes any Bolt/Ball contact less traumatic to the paintball which means less breaks. On top of that, the Exalt Geo Launch Bolt sits closer to the paintball and has a shorter travel distance to reach the paintball that is sitting in the breach. If you want your paintball gun shooting optimally, you need to order your Launch bolt today and start mowing down the competition.